If you’re not hiring a car during your holiday or would like a hassle-free start, we can arrange for a private chauffeur to pick you up at the airport and take you to your villa. 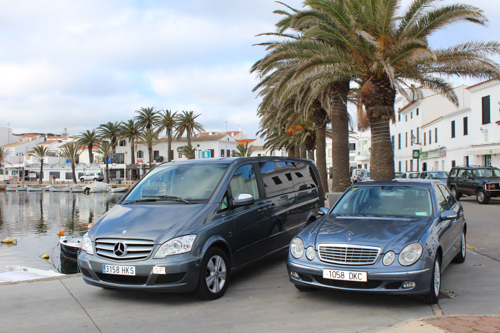 For added luxury we can also arrange for a VIP chauffer transfer. The fleet used are high-class vehicles and drivers are all professional. Depending on your party size and other requirements you may have, we can tailor the transfer required. It’s an ideal choice especially as you don’t have to queue for a taxi at the very start of your holiday! It’s stress-free and peace of mind that someone will be there waiting for you right outside the airport. For more information or a quote for a airport transfer, enquire here.